Addiction has been a common trend in today’s society. People get addicted to alcohol, drugs etc. due to a number of reasons. Some take it just to forget their anxiety for a while, some to overcome their trauma and then there are those who take them just like fashion or to company their addicted friends. No matter what reason compels one to take the sedative substance, addiction can never be good to one’s life. There are some very adverse effects to such addiction that can hamper the life of a person quite drastically. Hence, it is vitally crucial to take immediate action and help the victims to get rid of their drug abuse as soon as possible. The good news is that there are various ways that can help the victims come out from their addiction and lead a better life again. Right from getting regular medication and counseling to the inpatient and outpatient addiction treatment in a rehabilitation center, there are immense ways that can help a sufferer overcome his/her problem and regain the quality of life. If you or any of your loved ones is suffering from the nasty phase of drug abuse, you can get in contact with any reputed doctor, medical practitioner, counselor, therapist and other medical professionals to know your option for getting the optimum relief from the abuse. If the condition of the sufferer is not so severe and seems to be easily controllable, opting for the outpatient addiction treatment can be more than enough to regain the sobriety of life. However, if the victim has severely fallen down in the clutch of drug abuse, a doctor often advises to go for the inpatient treatment programs and stay in the rehab center until getting fully free from the risk of relapse. The specialists firstly analyze the overall health condition of the patient so as to find the underlying problems and then designs a treatment plan based on their background and the severity of drug abuse. 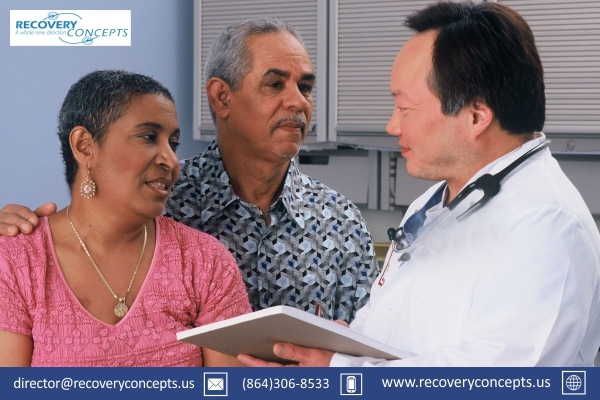 Outpatient treatment means that the victims need not to be in the rehab center to get the full recovery on the contrary a few frequent visits to the rehab for the classes with specialists or for group meetings would be enough to overcome the problem. The outpatient drug treatment programs include addictive pain medications, cure against heroin dependence, methadone abuse, alcohol dependency, and others sedative substance. The patients can take admission in outpatient drug treatment programs and get recovery at the earliest. They have their own set of therapies, drug education, mental health treatment, group sessions, and other forms of recovery programs. No matter, the addicts are entitled to the inpatient treatment or for the outpatient treatment, the key goal of both the treatment programs is to treat the sufferers and transform their lives. Get your dear one life with outpatient drug treatment and get him a better life ahead because if your loved one is severely addicted to drugs, it is necessary to take action without any delay.